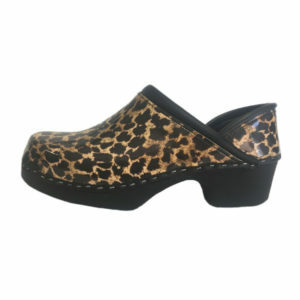 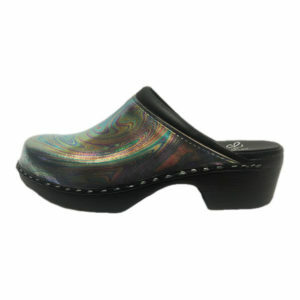 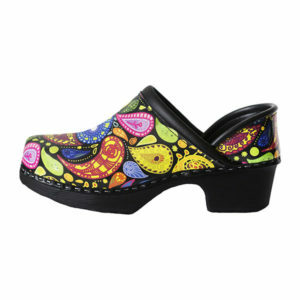 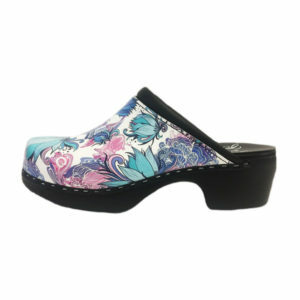 Slip into comfort and style with our fun and funky clogs. 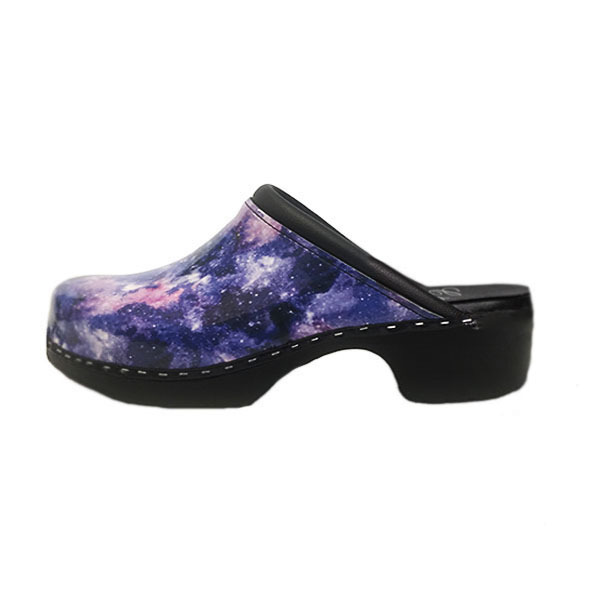 This galaxy inspired patent leather is ideal for everyday wear. 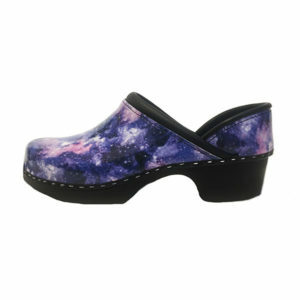 All of our Swedish clogs are designed and handcrafted with quality and care. 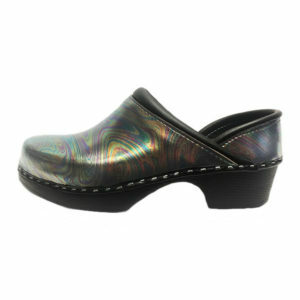 The spill proof uppers, slip resistant soles, in open or full back designs make this a great option for work or play!